Palmtrees and Pogosticks: Some more watercolour! Here are a few more watercolour themed projects. For the first card, I used the "faux watercolour" technique, which by the time I was done with the project, I would hardly refer to it as faux. I used the rose from Fifth Avenue Floral and the leaves from Autumn Splendour. I used the vellum transfer technique and then just started watercolouring the image. It took quite a while to get it just right, but I was finally happy enough to step back. After I was done, I couldn't bring myself to covering it up at all with a sentiment. 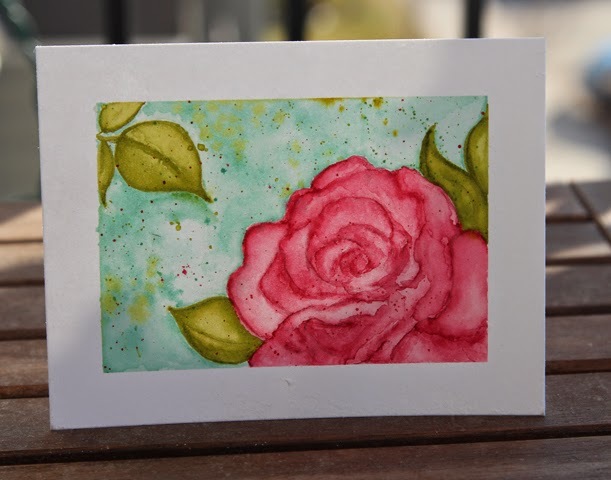 My next card featuring more watercolouring stamping. I inked up the seashell stamps then misted them with a mini mister. 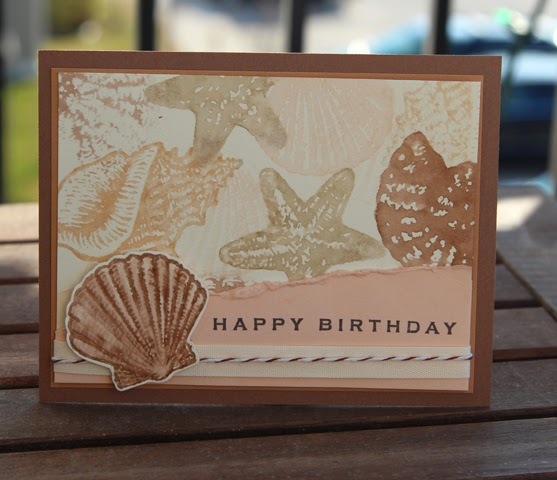 I also stamped the one seashell and watercoloured that. Great cards. Your first card is simple stunning!